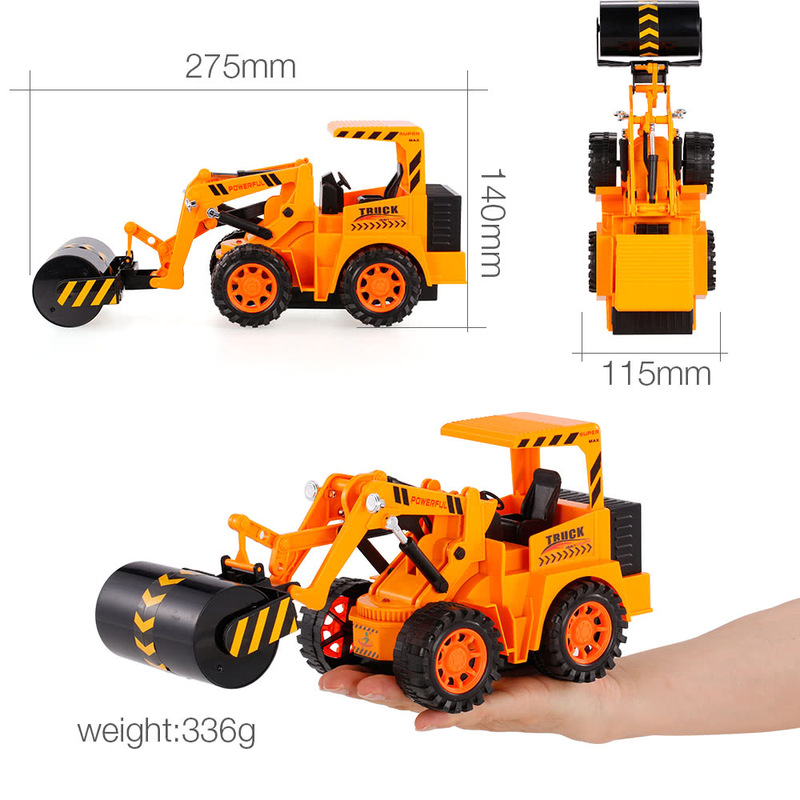 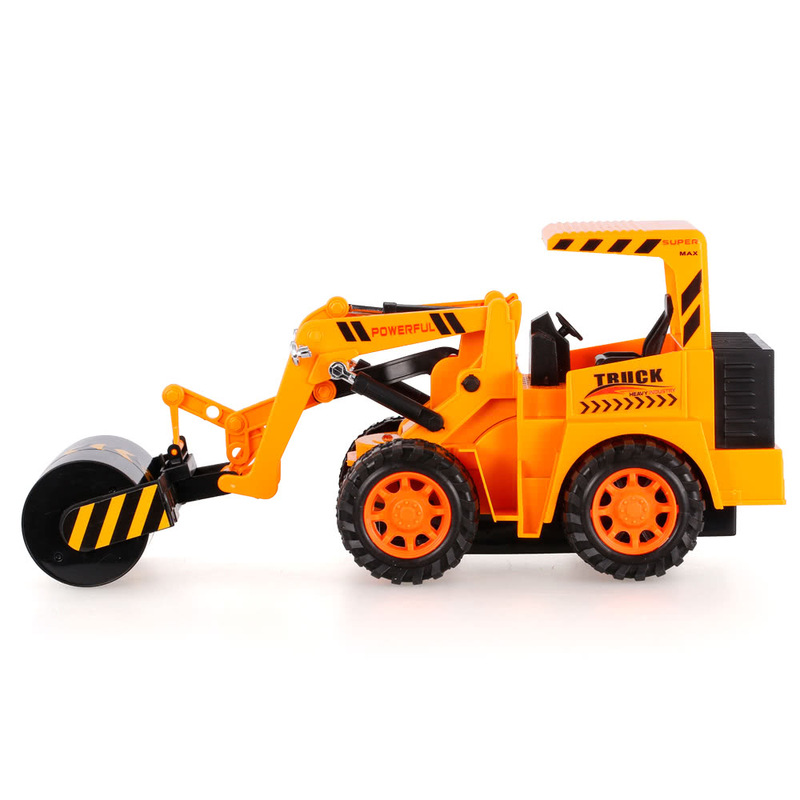 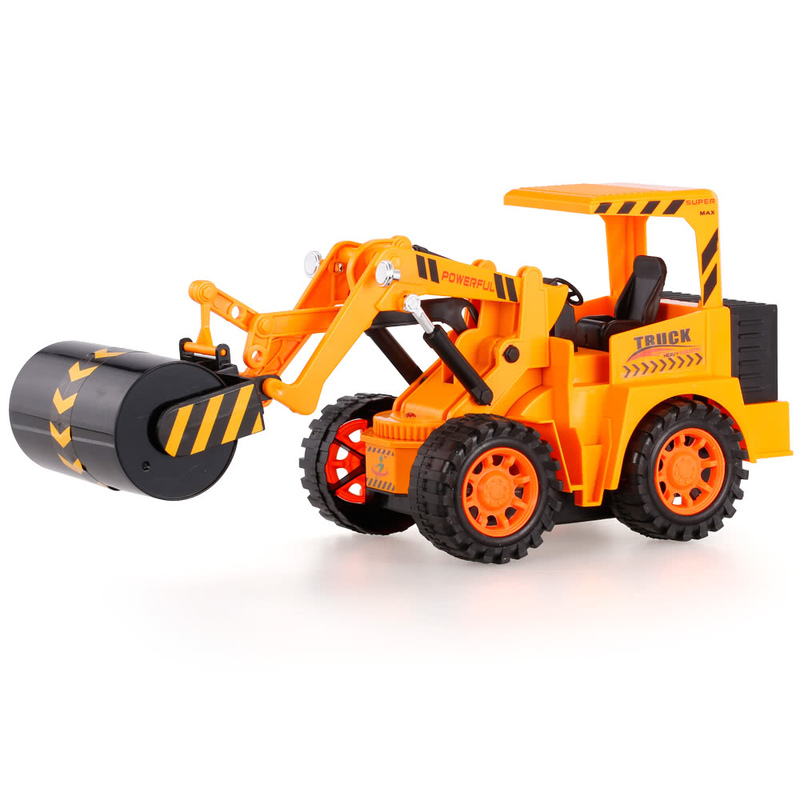 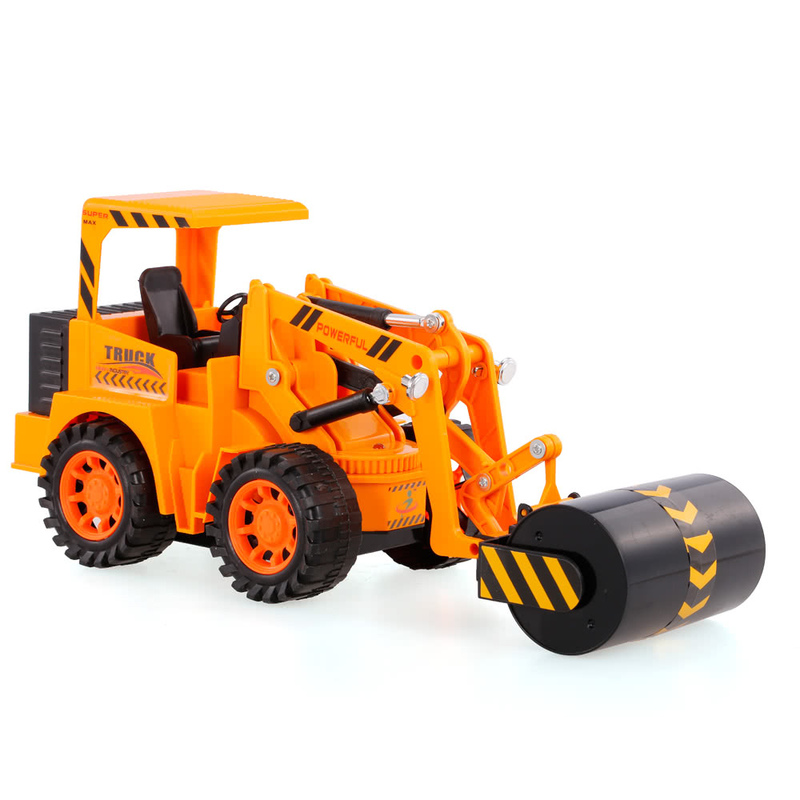 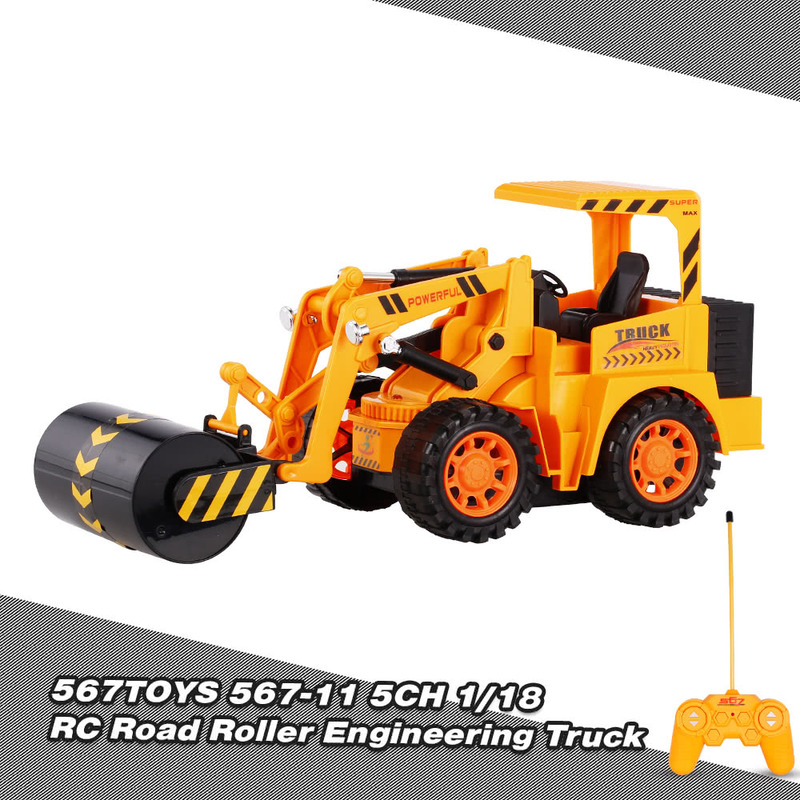 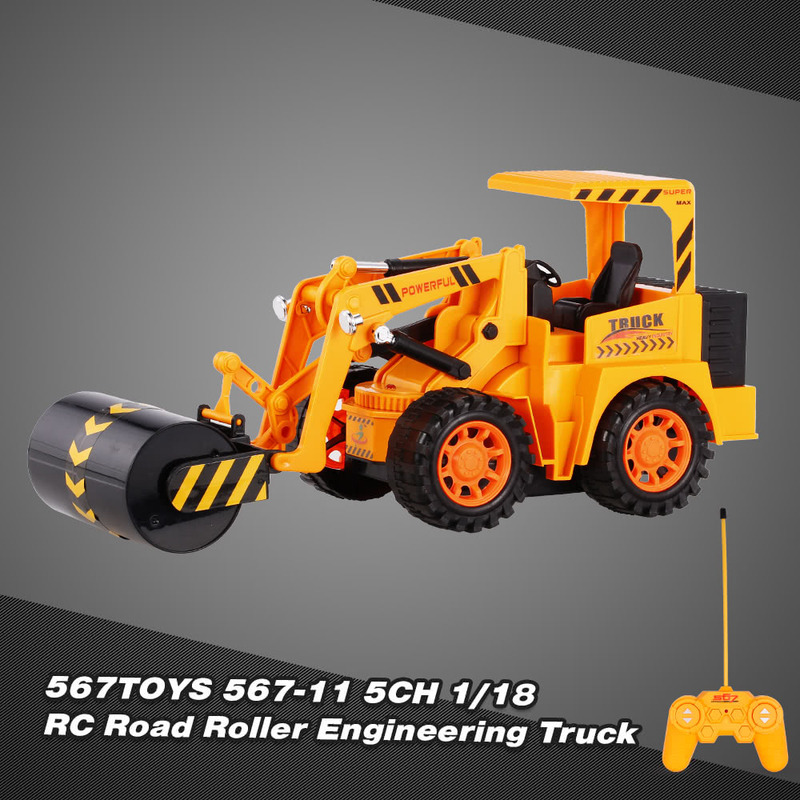 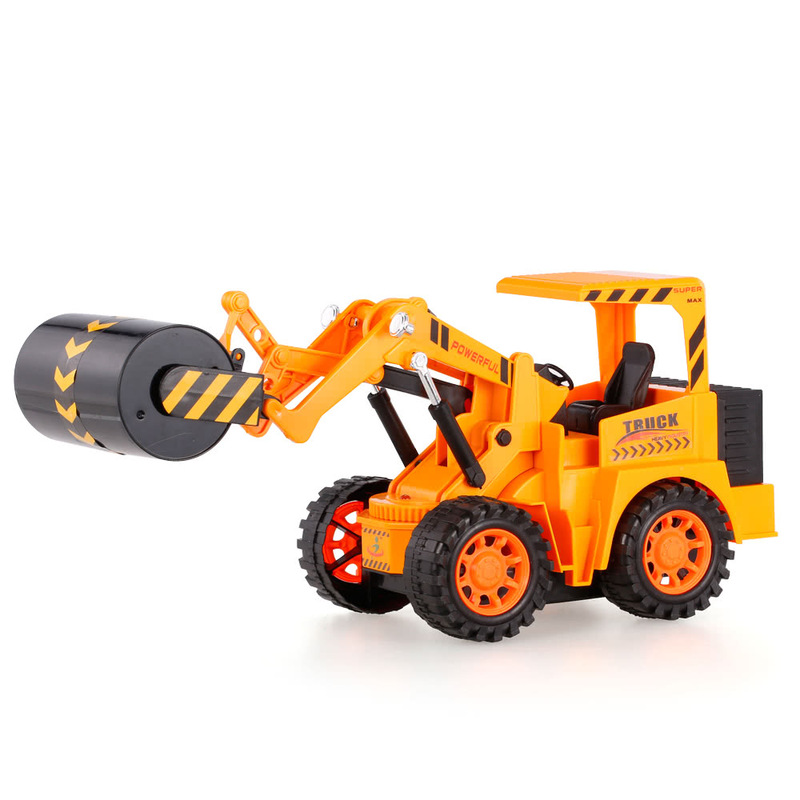 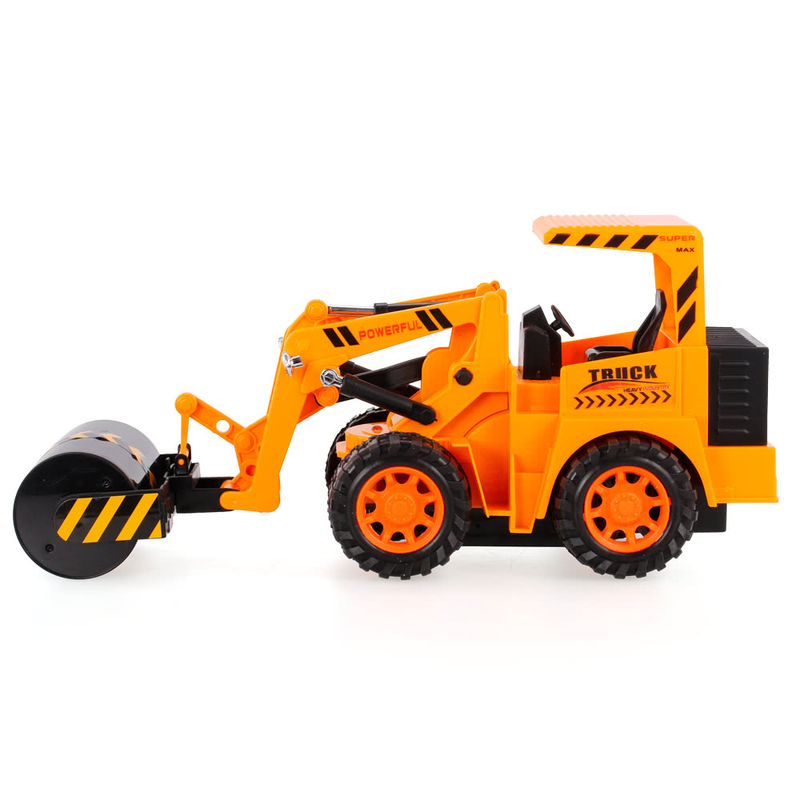 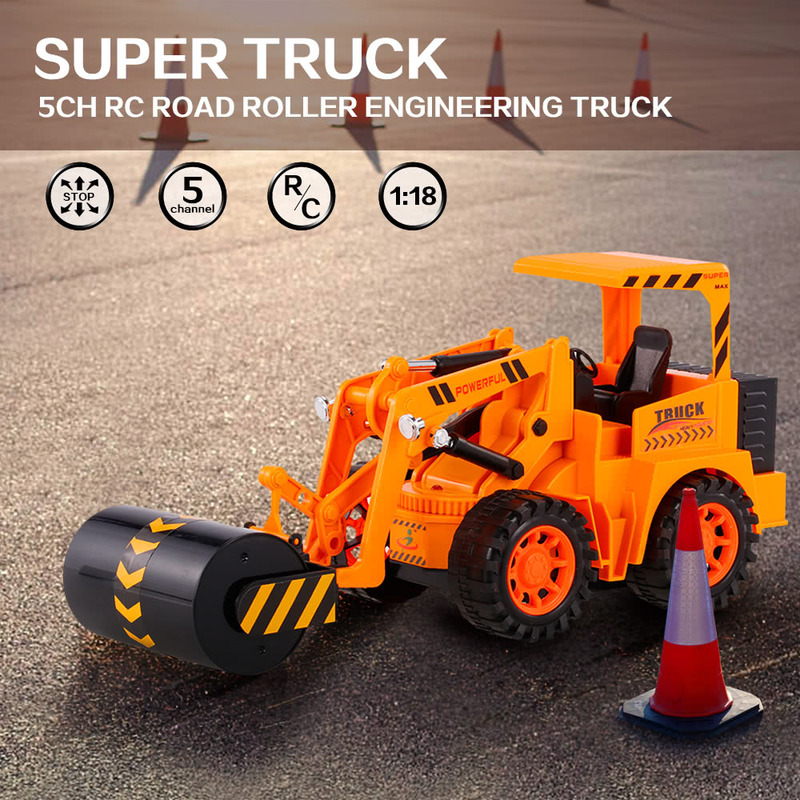 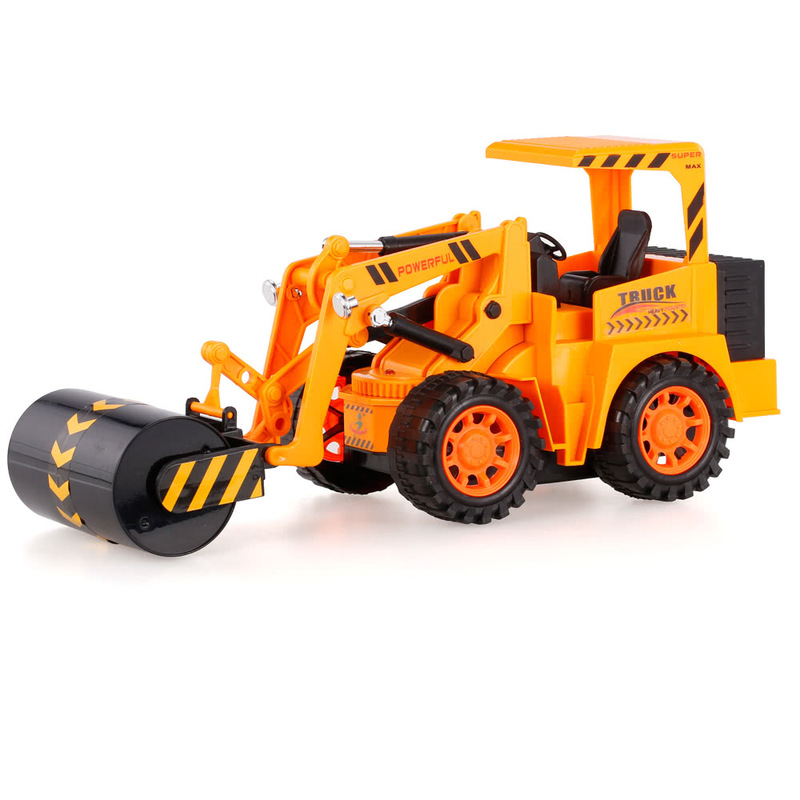 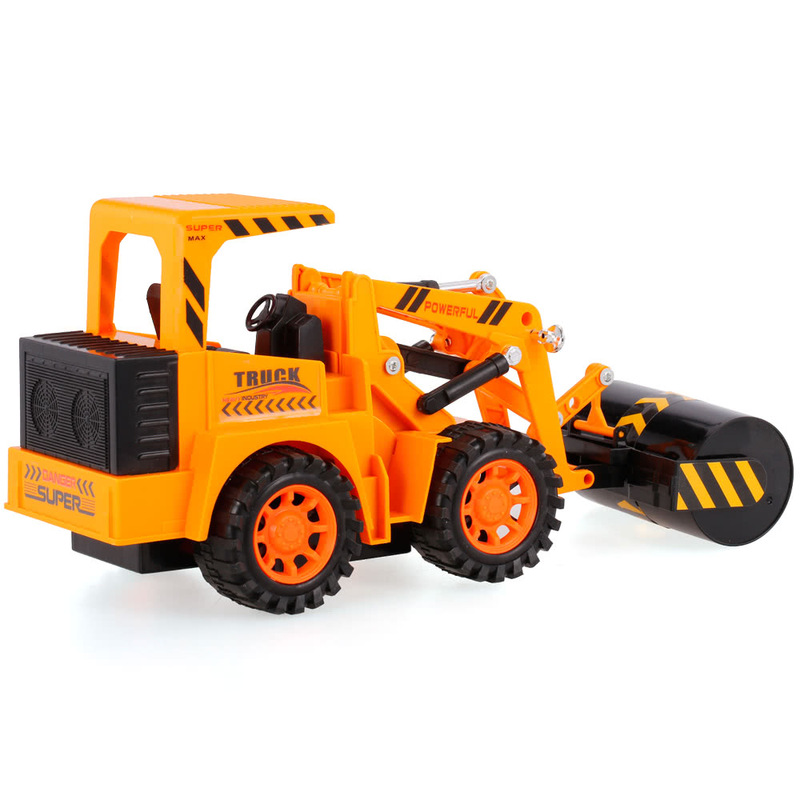 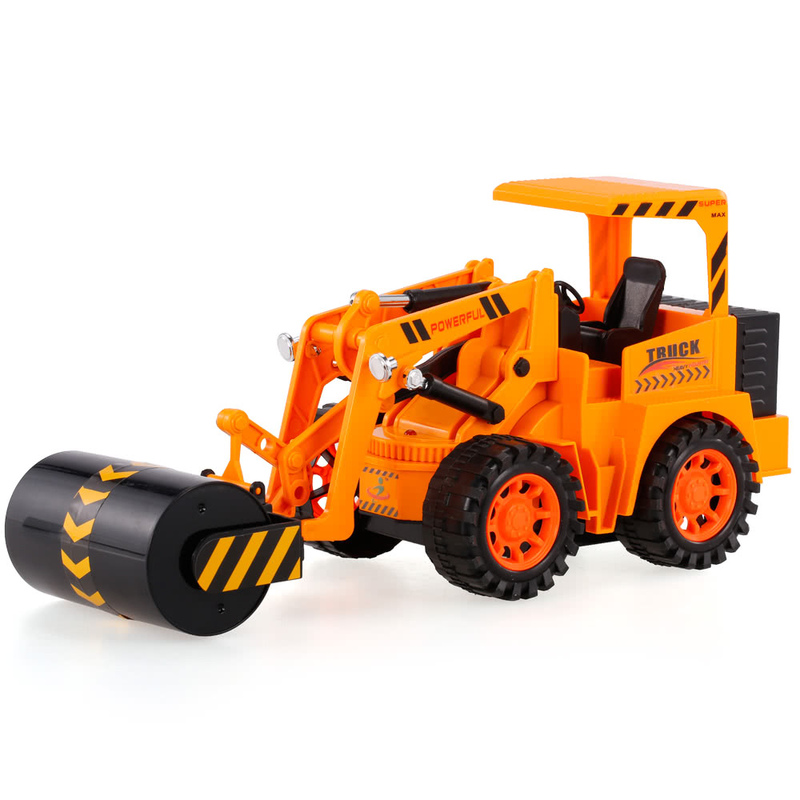 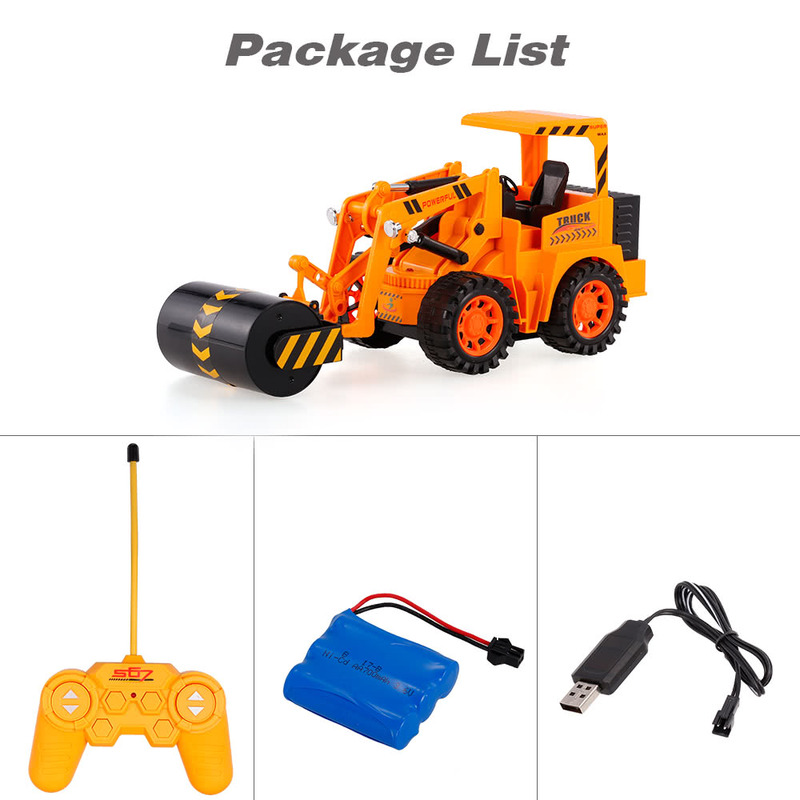 This is a 1/18 fully-operational radio remote control road roller truck toy. 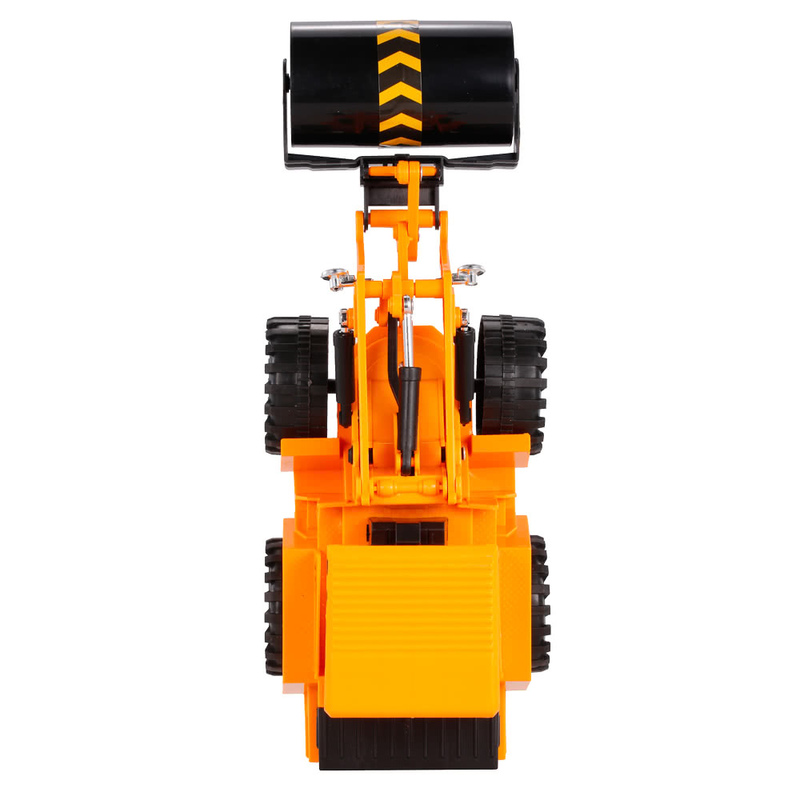 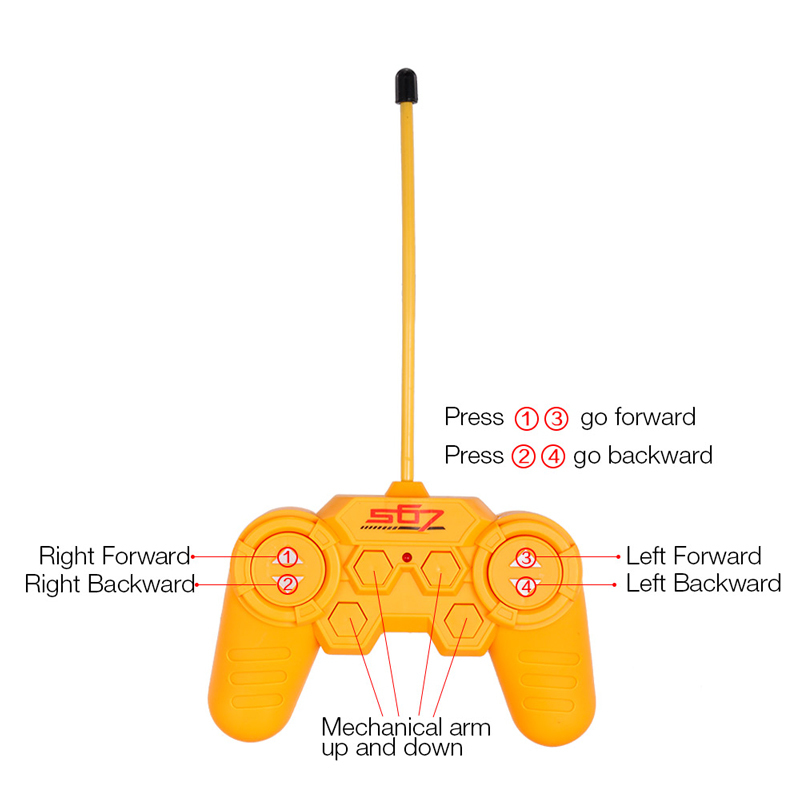 It is made from high quality and reliability materials, and it can move forward, backward, left, right. Besides, high simulated colorful lamps make it more attractive. 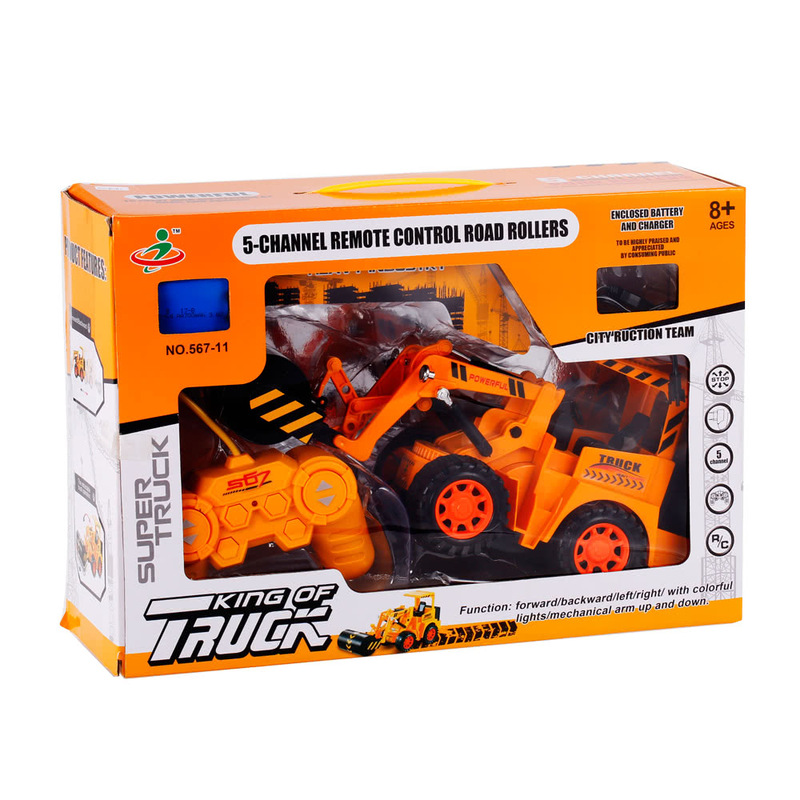 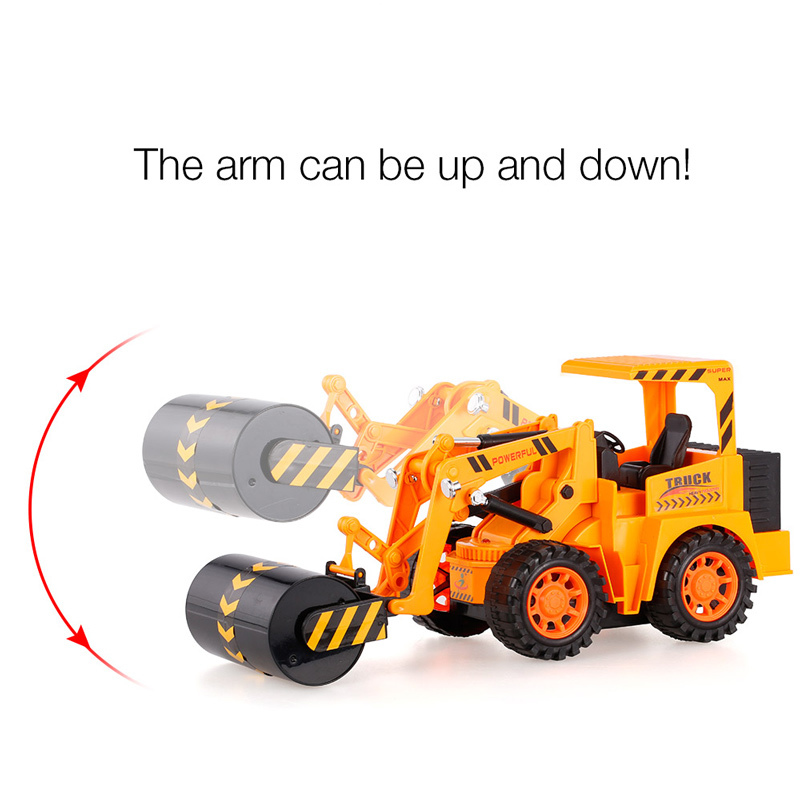 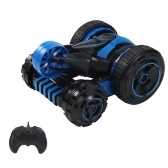 It is a perfect gift for children and anyone who wants to experience a engineering driver. 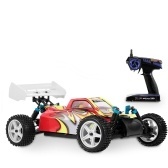 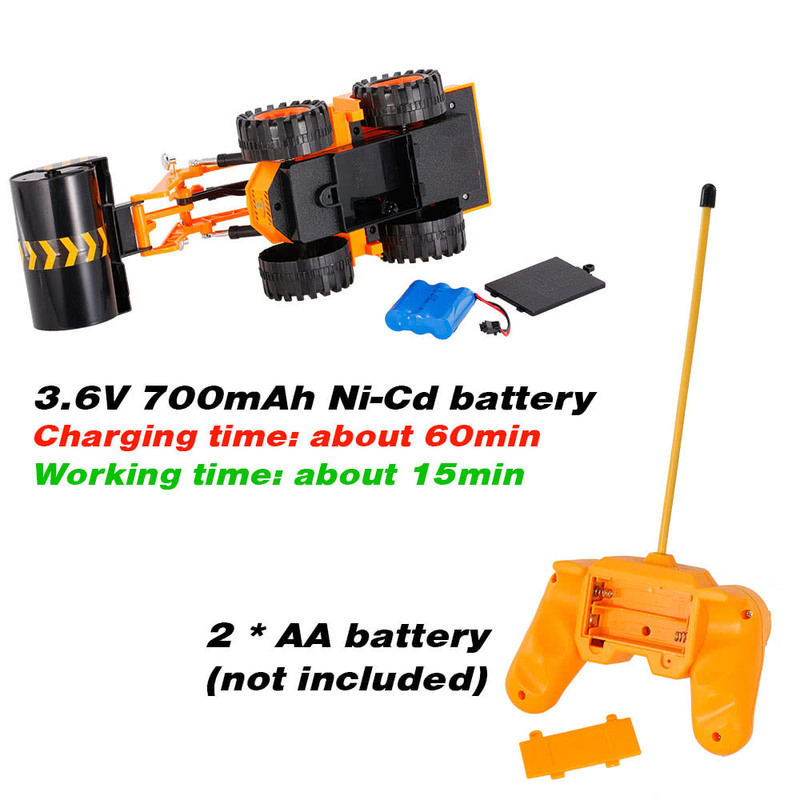 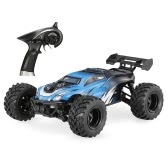 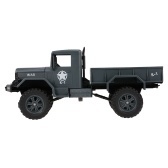 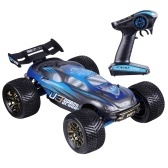 This RC model is not suitable for children under 8 years old.